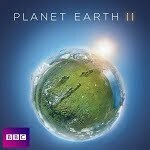 Unsubscribe from Planet Earth II? Grasslands cover one quarter of all land and support the vast gatherings of wildlife, but to survive here animals must endure hostile seasonal changes. From Asia's bizarre looking saiga antelope, to the giant ant-eaters of Brazil, grassland animals have adapted in extraordinary ways to cope with these extremes.